It hides in your mouth, destroying gum tissue and teeth, and it can lead to strokes, heart attacks, and pregnancy complications. Don't think it's your problem? Conservative estimates report that up to 80 percent of the population unknowingly has gum disease in some form. Seventy percent of adult tooth loss is attributed to gum disease. Recent research shows a link between patients who have gum disease and those who suffer from strokes, heart attacks, or complications with diabetes or pregnancy. Gum disease is silent because early symptoms may be painless and mild, like swollen gums or bleeding while brushing. Regular dental check ups are vital because a professional can detect, treat, and reverse gum disease in early stages before major problems arise. If you have noticed any of the above signs or symptoms, please call us immediately to schedule a consultation and assessment. Together, we can win the battle against periodontal disease and maintain your fresh and healthy smile. 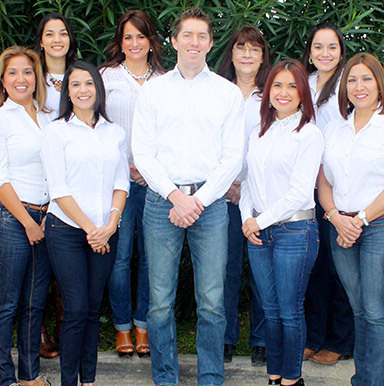 Call the Los Fresnos dental office of Dr. Lalonde and make an appointment for a complete evaluation. Our Los Fresnos practice also serves residents of San Benito, South Padre Island, Post Isabel, Brownsville, Bayview, and the surrounding communities.